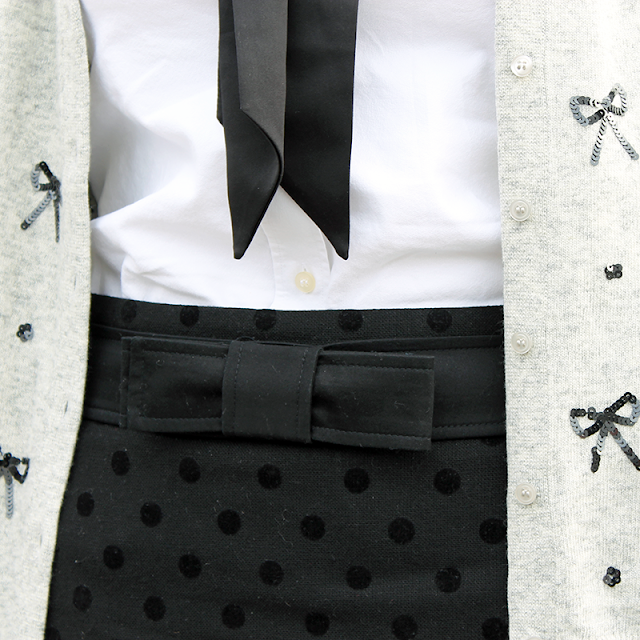 I certainly can't resist spots, polka-dots, bows + sequins all in one look. A somewhat adventuresome combination for me... and I'm ready to try more. Have a great weekend!